Practical negotiation training for buyers, purchasing managers and all those who want to have more success and fun in future price negotiations, project negotiations and annual meetings with suppliers. B) .... start negotiations skilfully with a planned "launch pad". You get a table with the most successful language patterns. So you have the best at hand. C) ... to find out whether it is a bluff or truth with the statement "that's the end of the road". D) ... at annual meetings always find new approaches to optimize conditions and prices. And all this is just an excerpt from the most exciting and successful training. Be there and save yourself a lot of effort and time in the future and become more successful in the result. 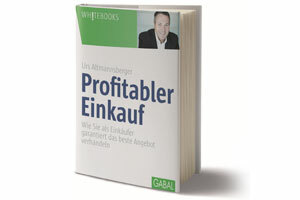 You will be the first, that gets the German bestseller in the English translation! I GUARANTEE: This course is firmly confirmed!